VATICAN CITY (CNS) — In an effort to share its masterpieces with even more people around the world, the Vatican Museums has established a YouTube channel and revamped its website to offer high-resolution images and mobile-friendly information. The “Musei Vaticani” YouTube channel lists short visual “tours” of some of its collections along with a handful of promotional videos highlighting specially tailored tours and services offered on-site, including signing guides for the deaf or hard-of-hearing. 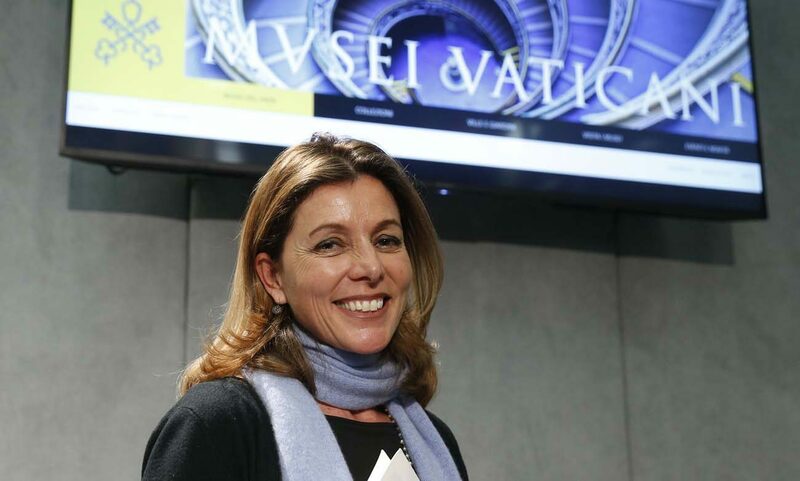 Its website, museivaticani.va, has been completely revamped to be compatible with all platforms and devices in order to extend its reach to even “remote corners of the earth,” said Barbara Jatta, the museums’ new director, said at a Vatican news conference Jan. 23. The site, offered in five languages, features a sleeker design, simpler texts and faster navigation, Jatta said. Links to pages can also be shared via Twitter, Facebook or email. The website provides information about booking visits and purchasing tickets to the museums, the Vatican Gardens, the “Via Triumphalis” necropolis under the Vatican hill and the pontifical villas at Castel Gandolfo, south of Rome. For now, the site showcases a little more than 3,000 high-resolution photographs of masterpieces in its collections. The “ideal” plan, Jatta said, is to complete within one year the addition of photographs of all 20,000 objects currently on public display and then begin working on adding images of all art objects in storage, for a total of more than 200,000 works of art. The site also allows the public to consult and search an online catalogue of some of the museums’ paintings, sculptures and other art objects. While the museums already had a registry of their entire inventory, migrating everything to the public-accessible database is still a work-in-progress, Jatta said.